SKU: sku12 Category: Milking goats has never been so easy! 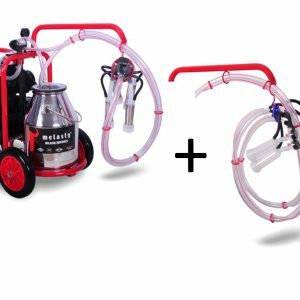 Melasty, Double Goat Milking Machine, portable, electric milking system complete with wheels and 2 handles to ease milk transportation providing high quality milk production. Milk 2 goats in 6 to 10 minutes. 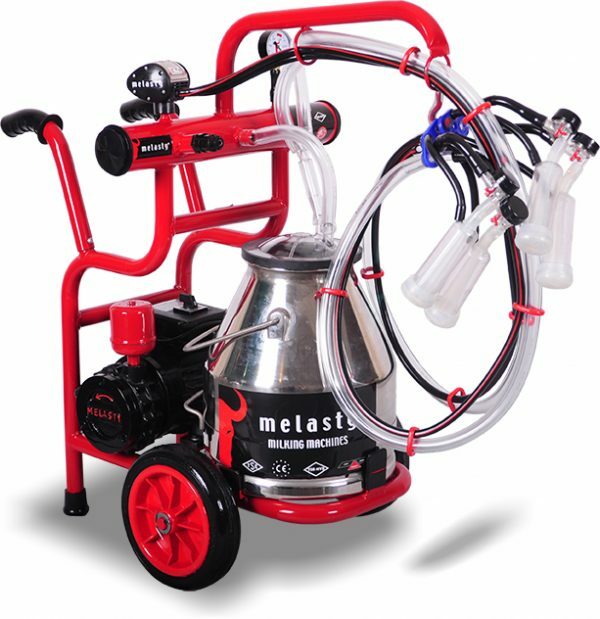 Melasty goat milker machine is a complete portable cost effective design system, sturdy firm and built with high quality, where you have the motor, pump, pulsator, claws (2), vacuum regulator, vacuum gauge, silicone liners (4), clear plastic shells (4) and hoses included in a framed structure with wheels. This unique compact design will give you the comfort to transport your milk. Ideal for small and medium dairy farmers. goat milker parts are sold in USA thru ebay, amazon, mitty supply web site and shipped for FREE. 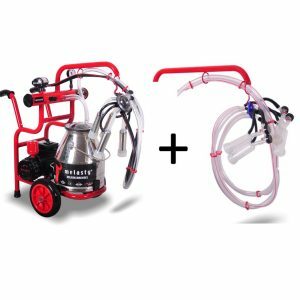 You want: A small, portable electric goat milking machine, light weight that allows you to transport the milk in a very convenient way, a complete milking system built together where you can take it out of the box and start milking. You Need: Time, convenience, and effortless when you are milking. You Desire: Easy access to spare parts, customer service that will guide you for any troubleshooting. 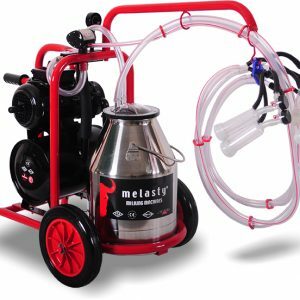 You Get: Everything you want, need and desire with Melasty goat milking machine. 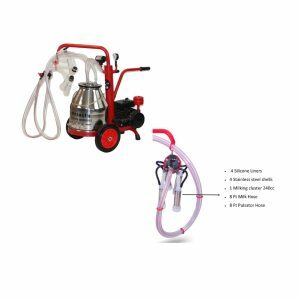 This easy to use goat milk machine will milk 2 goats in 6-10 minutes. You can milk more goats in less time with less labor. Melasty goat milker bucket keeps the milk enclosed and safe from external contamination providing cleanliness and better milk production.